Why has the columnist become so important in media ? Almost all media outlets have columns –just like this one- and almost all are very opinionated. They can be very popular and play a major role in making various media outlets popular among its constituency. But how much a part are they of media in general and a particular outlet in particular? And is the purpose limited to media objectives ? This question becomes inevitable because columns in our country have become an identity marker. They are not just writer of opinions but people who represent political groups as well. Since Editors and owners often are close to activism, the columnists may often be stating what the Editor can’t/won’t/ doesn’t want to publicly say. The columnists will often say the unsaid part, usually of the activist variety. Many papers also host columnists of the dissenting variety. That means many outlets are trying to balance the image or brand of the paper by maintaining horses from different stables. So are the columnists partisan or independent ? If they are not independent, does it qualify as balance ?. It will not mean balancing opinion but being partisan Several partisans from both sides may be making the matter even worse. The scenario is clear. The columnist, who is an outsider is also a brand provider now. It doesn’t matter if he is an external or an internal person because what matter is not his professional status but his party line. So even if an outsider, he becomes part of that outlet’s establishment. Some independent columnists also don’t write for an outlet as being part of a partisan outlet means being stamped by that identity brand. Thus, opinions matter but not as much as brands do , mostly political. Hence media itself and journalism are both about brand values not informed opinion or opinion making tools. In this media process, what roles do columns play both within and outside ?. Most columns are an open call to political arms, an excuse to abuse the opponent and uphold the political brand in the media space. Since politics lacks substance, branding is inevitable. So these columnists also play that very significant role of providing branding content. When media is also under stress of “censorship” both internal and external, as well as self censorship, branding becomes an even more important tool for both gain and safety. So columnists are not really the traditional /conventional role player now. The columnist actually is part of the outlet even when he is an outsider as a brand content. This association is not of media’s making but that of the political system as a whole. Its largely played on brands and the efforts to have one that will appeal to the consumer is the most important activity. Hence, media content is not as important as how it’s played out to the consumer. How does the consumer decide to buy a political product ?. As is known to all marketing students, not all product buying follows the same process in decision making. Various research and surveys show that if the product is sold by branding, content is not questioned as consumer loyalty dominates. So buying is pre-decided if the brand is obvious. So media outlets follow the safe method of ignoring product quality. Once its decided that branding will dominate not content, its only logical to think that the columnist is also part of the wider media process where there has been a redefining of the term, public interest. In such a scenario, the columnist does what a reporter can’t. A reporter only deals with facts and that puts political products under scrutiny. That makes it controversial and risky for the owner of the same so its not great in playing politics of brands. The columnist on the other hand , does the opposite of the reporter and that is why he is increasingly becoming more important than other media workers and in the end reflects the true nature of contemporary media scene. Facts matter less, partisan opinions matter more. 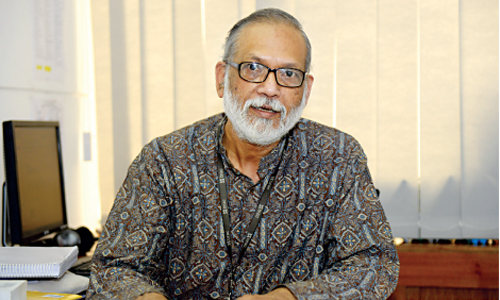 Afsan Chowdhury is a journalist, media professional, researcher and social activist.